Who’s sick of hearing about Passover food yet? Bad news friends. Passover isn’t for another WEEK and then it goes on for a full week. So there’s gonna be a bunch more Passover talk around here. So lets talk about what I miss during Passover. You’d think it would be nice hot bread, freshly made toast, maybe some gooey pizza or some saucy pasta. Or maybe a bag of crunchy pretzels. But I’m weird like this. And the things I miss most over Passover aren’t the specifically non-kosher-for-Passover foods like those mentioned above. What I miss (especially considering my family’s stricter customs) are some of the little conveniences. Things like soda (nope, we don’t drink that on Passover). Things like opening a package and having a snack. Things like the smoothies I’ve been completely obsessed with lately. Then I realized. I can totally make smoothies and Slushies and things like that on Passover! Sure, some of the ingredients I normally use in my smoothies aren’t allowed, but there are loads of ingredients I can use to make awesome smoothies. Like this one. 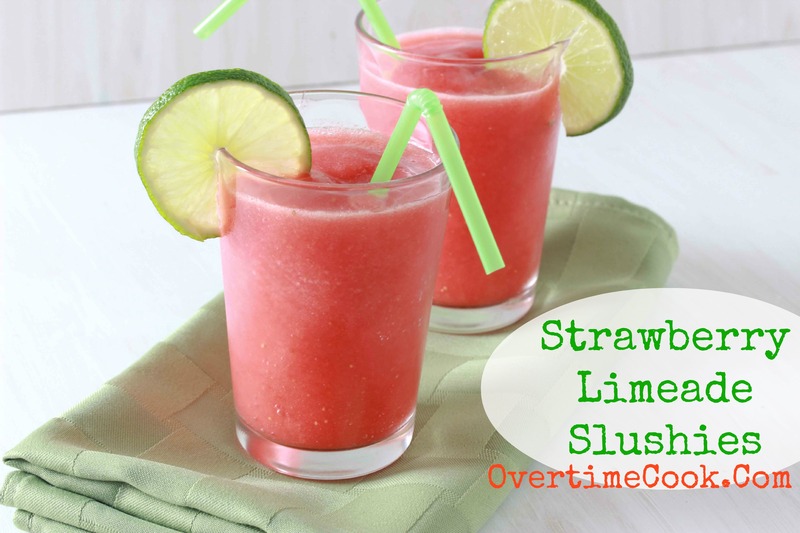 So pull out your blender and make this amazingly refreshing and delicious drink. For Passover…or anytime! PS: Did you enter my cookbook giveaway yet? I’m giving away two copies of a fun Passover Cookbook! Combine all ingredients in the bowl of a blender. Start with just 2 cups of water. Blend until smooth. Add additional half a cup of water, if needed, to make it thinner and smoother. 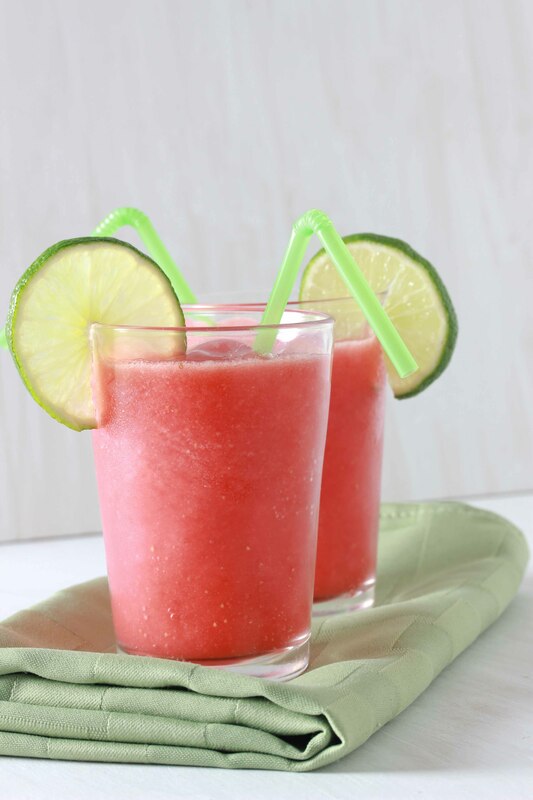 It looks wonderful and refreshing! This looks so refreshing. I love slushies. Like way too much. 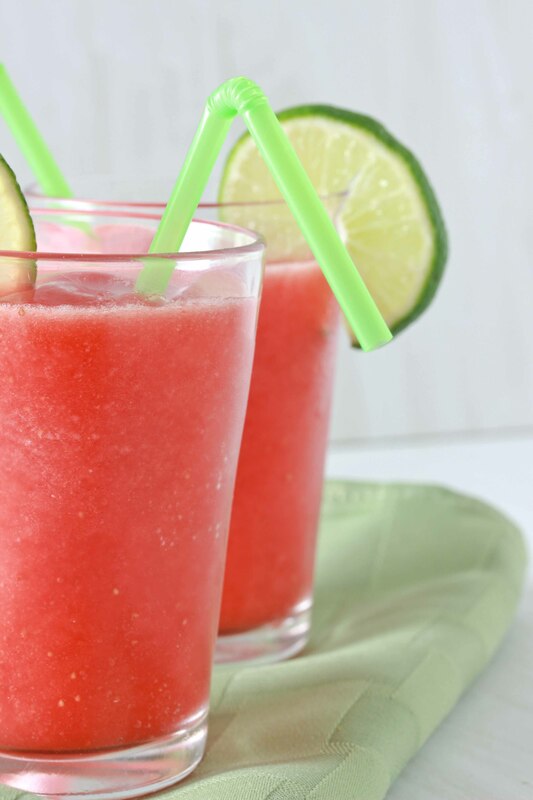 This looks so refreshing (and pretty!!). I am going to use this instead of grape juice for the kids at my Seder. Nice idea! Lemon juice CAN be subbed, but it is way much better with the lime juice! These look yummy! How many servings can you get from this recipe?